 Log In needed Metal & wood bar stool - on hold - do not contact! 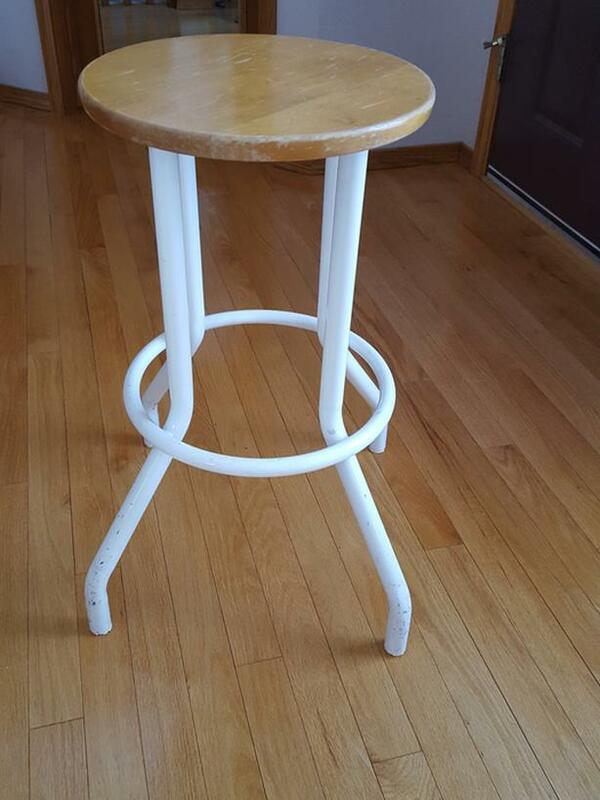 This utility/bar stool is 23.75" high, and the wood top is 12.75" in diameter. Sticker says "Made in Canada". The stool appears to be sturdy, although the wooden seat has a crack in it (see photos). This would be good for your basement or garage.